Escape the everyday. 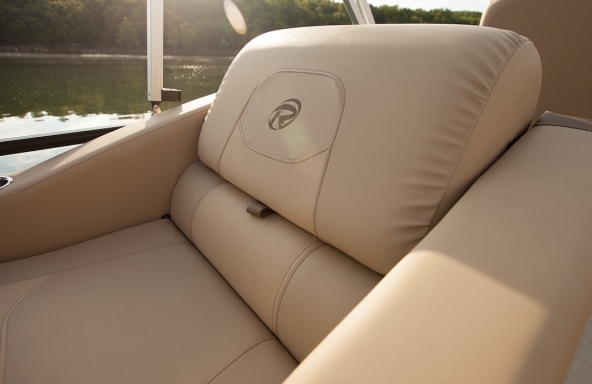 Spacious, stylish and well appointed, the all-new Retreat is your oasis on the water. Enjoy deluxe vinyl flooring, a premium stereo system, plush pillow-top furniture and more, all for a terrific value. 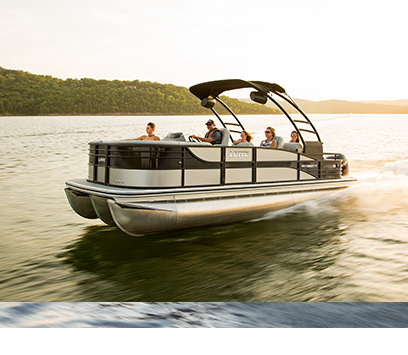 The Retreat Series sport pontoon raises the bar for craftsmanship, performance and style. 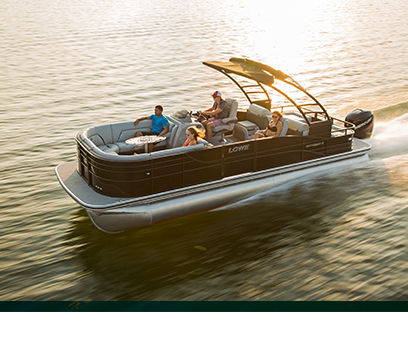 Retreat offers the boldest vision of what pontooning can be and brings that vision to life with the perfect blend of on-water comfort and fun. 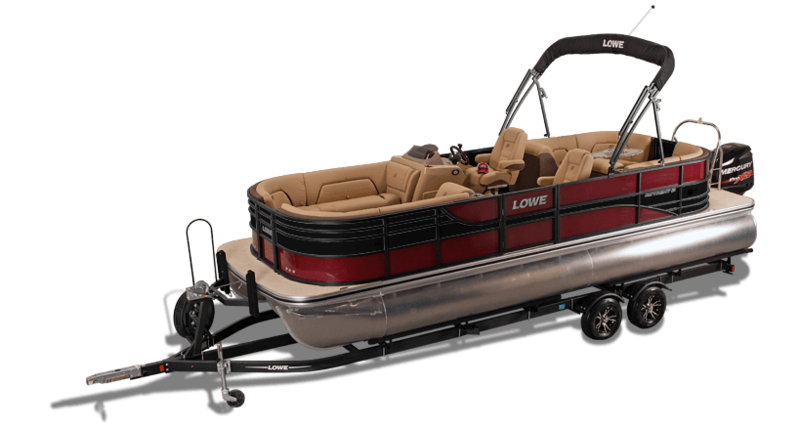 Sink into supple pillow top upholstery, take control at the handsome chrome accented helm, or have the thrill of a lifetime being towed by a powerful, system-matched outboard. The invitation beckons: Come and enjoy the well-lived life! 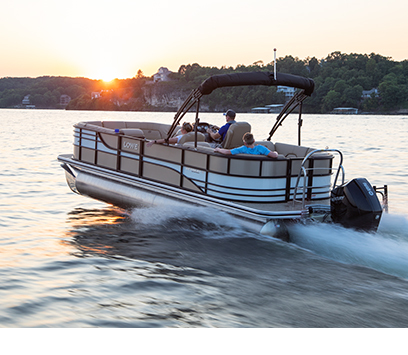 Retreat series pontoon boats are fit with beautiful furniture that is crafted from carefully chosen weatherable materials, for a finish that is clean and elegant with a timeless aesthetic. 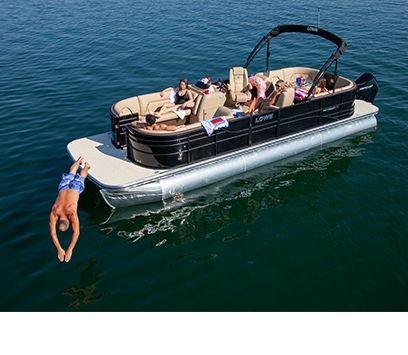 One of the latest innovations in the world of pontoons and boating is Active Trim technology. 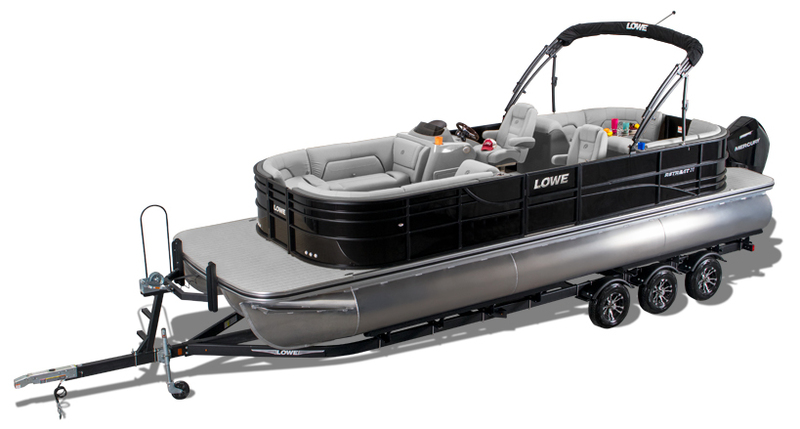 Perfect trimming that improves outboard performance and fuel efficiency. 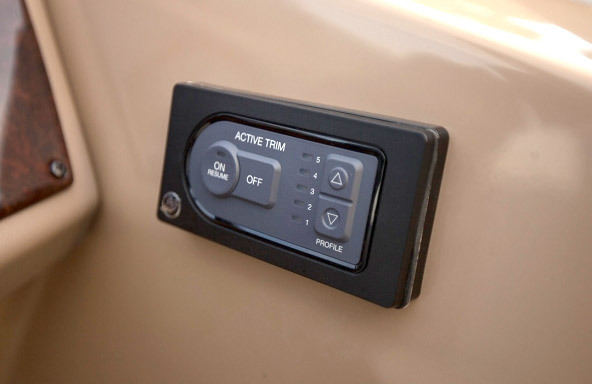 Active Trim is like going from manual to automatic on an automobile. 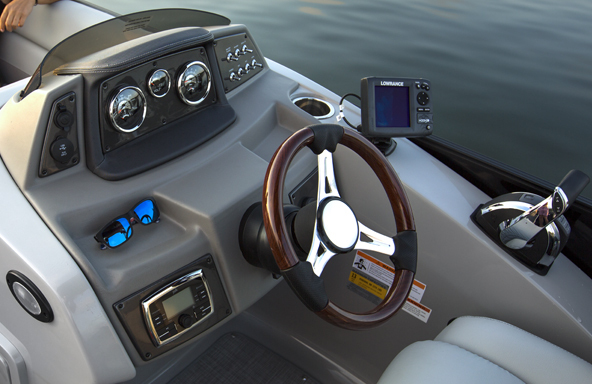 It simplifies the process of boat operation while maintaining an override with the traditional manual trimming option. 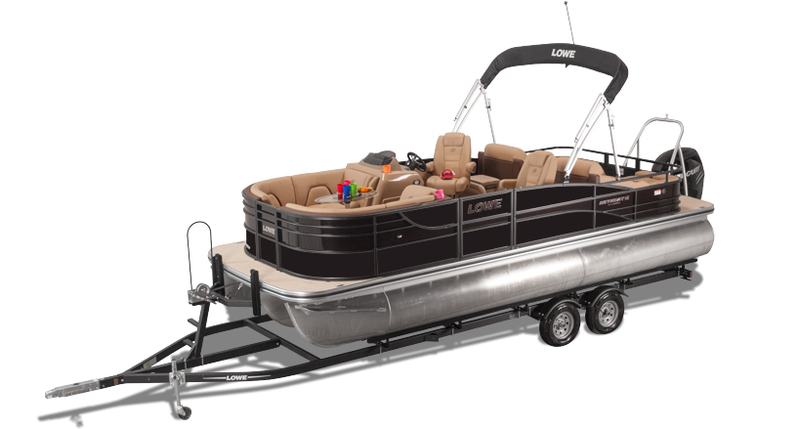 Retreat pontoon boats feature innovative storage spaces throughout the boat, making it easy to keep it stocked with the confidence that you'll always have some room to spare. 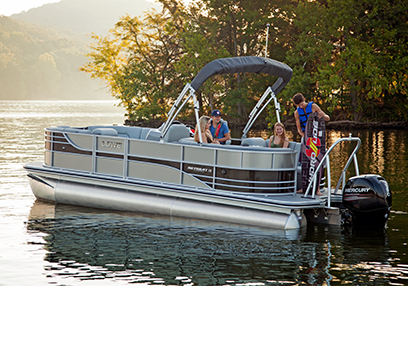 Rolling into 2017 with the new Retreat series pontoons is the exclusive Ottoman with Integrated Cooler option. 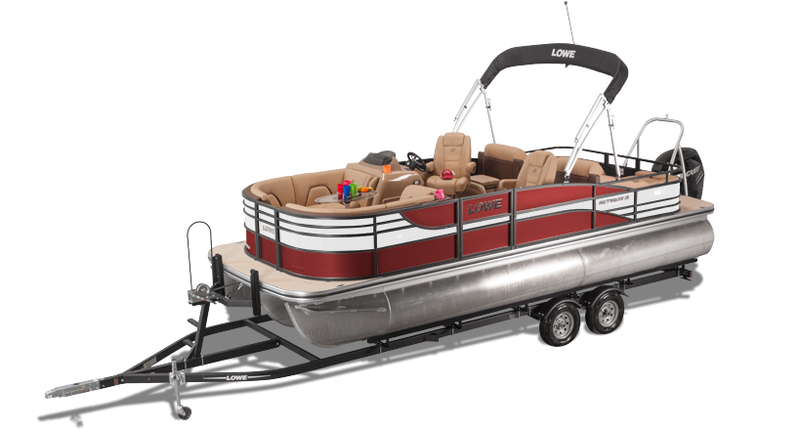 It's sturdy, looks great, has cupholders, smooth caster wheels, and a built in cooler. 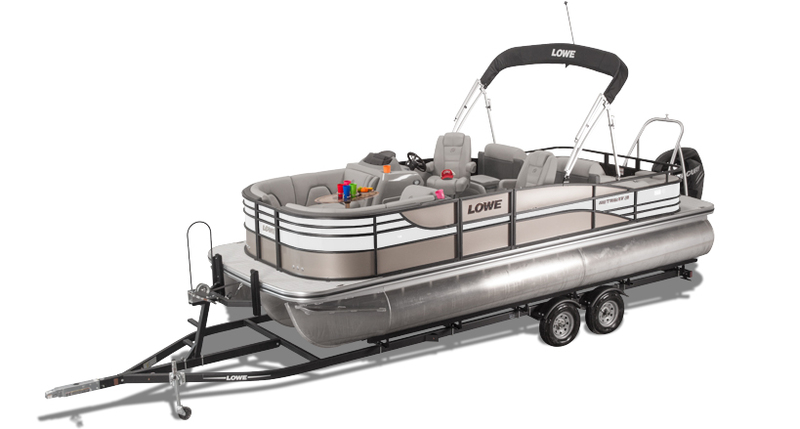 Retreat series pontoon boats stand tall, take advantage with easy stern deck entry from the water via the heavy duty four step boarding ladder. 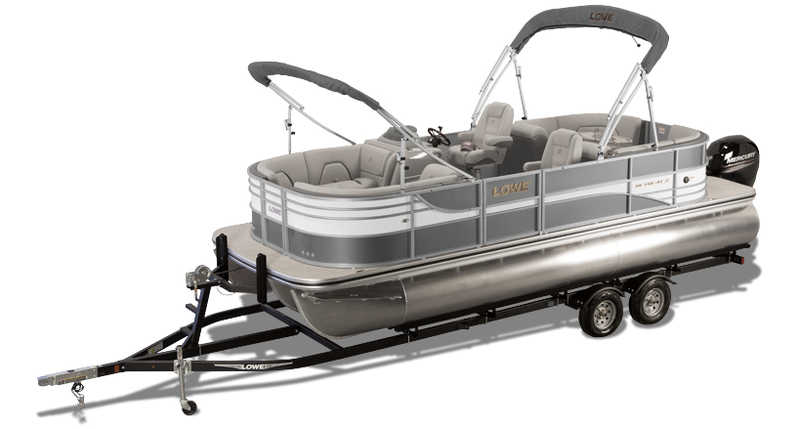 The helm on a Retreat series pontoon features a complete set of instruments dressed beneath glass and chrome bezel. Enjoy active trim, anti-feedback steering, and the unmistakable feeling that happens when you squeeze the throttle. Power and performance meet luxury.